If you are convicted of a crime, probation may be a part of your sentence. There are two forms of probation: formal probation and informal probation. Formal probation is typically required as part of your sentence if you are convicted of a felony. Formal probation, also known as felony probation, requires that you report and meet with a probation officer frequently. There are also certain terms of your probation that you must follow (i.e. that you don’t commit any other crimes, you do not possess any controlled substances, etc.) Felony probation in San Bernardino may also require random searches of your home to ensure that you are complying with the terms of your probation. Informal probation, also known as misdemeanor probation, instead requires you to comply with the terms of your probation but does not require that you regularly meet with a probation officer. So what happens if you fail to follow all the conditions of your probation? What if you did not meet with your probation officer as required? If you do not meet all the conditions of your probation, you could be charged with a probation violation. This can be charged regardless if your probation was informal or formal. Common violations of probation include failure to report to probation officer, violation of geographical restrictions, and the commission of a different crime. If it is proven that you violated the terms of your probation, there are a few things that could happen. The court could choose to modify or change the terms of your probation. Usually, this will make your probation more strict. However, the court could also choose to impose the sentence of the original crime committed. For example, if you are on probation for committing burglary, the court could end your probation and punish you with the sentence for burglary. A skilled criminal defense lawyer may be able to defend you against accusations that you violated your probation. If your attorney can show the court that you did not actually violate your probation or that the terms of your probation were not made clear to you, your attorney could have a valid defense so that you are not convicted of violating your probation. If you are being accused of violating your probation, you need to speak to an experienced criminal defense attorney at Wallin & Klarich right away. 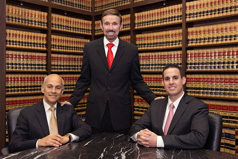 Our skilled lawyers have been successfully defending our clients accused of violating probation for over 30 years. We’ve helped thousands of clients in their time of legal need, and we can help you now. With offices located in San Bernardino, Orange County, Los Angeles, Riverside, Victorville, Torrance, West Covina, San Diego and Sherman Oaks, our experienced criminal lawyers are available near you no matter where you work or live. Call our offices today at (888) 280-6839 so we can begin working on your case. We will get through this together. Do You Have to “Friend” Your Probation Officer?